Pockets of information about … everything? I decided to spend this Camp Nano finishing Aleah Ash and plotting another story. I don’t know what I will do with it now. Maybe edit it and see if I can find it some beta readers. And the plotting has gotten half a dozen chapters planned out, then I realized I’m planning a travel story loosely based on the real world. Since then I’ve been using google maps to figure out travel paths. Did you know that Concrete is next to Grassmere? And there is a town called Huzzah. I fell behind on the first couple of days, but by the middle of the month I was back on track. Then this past Wednesday I got a reading headache. And now I’m super behind. When my blog was much newer than it is now I started a project. I called it my Secret Project or something like that. I was making a silk skirt from ties. I took apart the ties. Moved their tags. Washed them. And got most of the major seams sewn. I didn’t want to put the zipper in. So I put it aside and moved on. Recently with M’s Best Friend’s wedding coming up. I thought it would be fun if I could finish the skirt and maybe make a similar top from the scraps and ties I didn’t use. So I put in the zipper and decided to use the thick golden tie for the waist. It has been going remarkably well. This is the first time I have sewn with silk and the first time I have done much sewing with bias cut fabric. It is easier than I feared. The bias cut gets rid of the fraying silk is famous for. And silk isn’t as scary to sew as people made it seem. So I signed up to help promote a book by an author who’s blog I enjoy and I agreed to do an interview. What is the least common thing you are a fan of? The movie Grease is one of those classics that is widely loved and cherished. Most people aren’t even aware that there is a second Grease movie and most of those who do know about it, don’t care for it. But I LOVE it. It’s my favorite. In fact, I didn’t even watch the first one until I was a teen. But the interesting thing about the Grease movies is that they take place in 1960/1961. Dance With Me takes place in 1959, so I was working with the same time frame in American history. There were scenes/conversations where that young greaser personality came through and I know the movies had helped to inspire my understanding of the lingo and cultural attitude. What character that you wrote surprised you the most? Arleen Thatcher from Dance With Me was one who surprised me. When I was first crafting the concept for this novel, I had meant for it to be a mystery. But the moment I met Arleen and caught a glimpse of her hidden story, I knew the mystery had to go so her personal struggle could shine. And I really think she’s going to be a character that lives on in the minds of readers for a long time to come. There’s a fresh, brokenness about her that feels so real. What is the oddest thing on your bucket list? Traveling is typically on a person’s bucket list, so it’s not exactly odd. But as I studied Civil War history for my Ancient Words Series, I chose to work with a real regiment that came out of my home town. I’ve been able to visit 3 of their battlefields so far, but it’s my goal to visit all of them. What detail from your books are most proud of? Crafting characters who the readers either feel like they already know or wish they could meet. I think the characters are the heart of the story, so it’s a blessing to me when readers comment back and say that they really came to life for them. What is your favorite detail from your books? I would have to say the spiritual message. It’s an honor to do anything for the Lord. But to craft these characters and stories takes a great deal of effort. So to be able to tie it all up with a message for the soul that was woven in from the beginning and brought to light beautifully in the end, it’s a double honor. There are times when I wasn’t certain from the beginning how the spiritual message would come to light so it tends to blow me away when it does. 6. What character are you the tiniest bit envious of and why? Oooh! Great question! I’m a bit jealous of Arleen. Ballroom dancing is something I would have loved to do. But I think I’m most jealous of Liz Cooke, heroine of If Only It Were Yesterday. Even though her time travel experience was all in a make-believe dream, for a time she thought it was real and she was able to experience what the rest of us history lovers long to experience. Besides being an Indie Author, I’m a wife, mother of four, children’s Sunday School teacher, sweet tea drinker, history fanatic, romantic, bubbly, lover of broccoli, and cake decorator who has a soft spot for Christmas trees, Reese’s Peanut Butter Cups, and sharing the gospel of Jesus Christ. What I’m not is a laundress (or at least not one who keeps up very well), a duster, tall, or patient in a doctor’s office. I’d love to hear from you. You can visit me online on Facebook, Twitter, Goodreads, Pinterest, and my blog. *Note: I’m most active on Facebook and my blog. Whether you’re on social media or not, you can ensure that you never miss one of my sales, giveaways, or new releases by signing up for my newsletter. I’ll send you a direct link to your email anytime something big happens. Will a new partnership tear their worlds apart … or will it be the piece they never knew was missing? In 1959, Arleen Thatcher and Neil Fox are fierce competitors on the dance floor, so they’re the least likely pair to enter a televised competition together. But when rivaling studio owners decide to team up, the two find a partnership they never thought possible. Arleen’s reputation around town is reason enough for Neil to keep his distance from his new partner. But as Neil gets to know Arleen, he discovers a side of her few others have seen, one of dark family secrets and carefully-constructed facades. God’s plan for their partnership may involve more than a single dance; it may be the key to the healing Arleen so desperately needs. The Art of Love series is compiled of stand-alone novels where the characters tell their own stories and love means so much more than passion. Sometime within the last couple of weeks I read an old blog post from somewhere, about how many Christians haven’t read the Bible from beginning to end. I left a comment and thought I moved on. But out of my subconscious, came a memory of the very first time I had ever talked about reading through the entire Bible. I was talking with D H1. (I call him H1 because I have another friend with the same first name and the same last initial) It was one of many random discussions of startlingly deep topics that we had. I would guess we were around eight or nine. We both claimed to have read the Bible from Genesis through Revelation. At the time my claim was a partial lie. I had read most of the Bible for myself. I had skipped a few sections here and there (mostly names). But what I considered to count then and I still do know, was the fact that Dad read the Bible out loud to us after dinner. Every day after dinner and dishes Dad would read a chapter or two of the Bible, then we would sing. Then it was time for us younger children to go to bed. Since then the traditions have changed a little, but we’ve gone through it many times. And I have read through the Bible properly more than once. I’m glad I was brought up hearing the Bible. I’m glad I was friends with people as passionate about Gods Word as I was. D H1 and I may have been strange children, but we are happy and blessed. It’s Cake and Ice Cream month according to an ancient journal entry into M’s journal. But I actually don’t have plans to talk about that today. 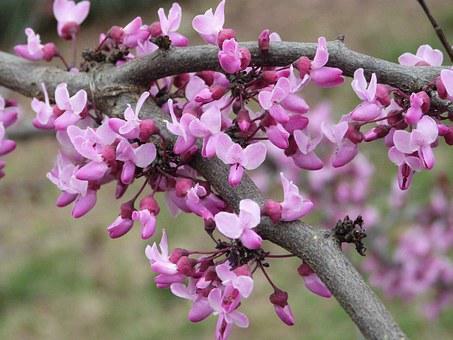 Instead I plan on talking about my favorite early spring snack. I love berries in late spring. Tomatoes picked fresh off the vine in summer are the best. 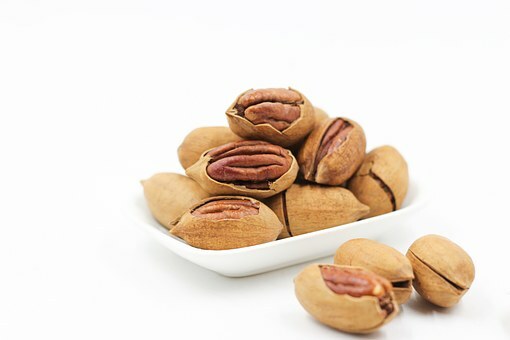 Pecans and other nuts in the fall are great for helping me feel like I’m eating enough calories to stay warm. In winter hackberries. Spring is great. I can go outside and choose from a wide variety of plants what I want. From flowers, to wild garlic, to winter cress… But my favorite snack is easiest to get from a store. 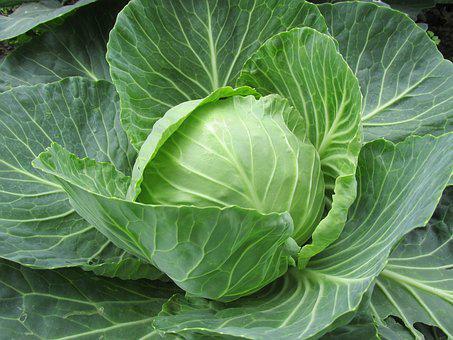 Spring Cabbage. I like to eat large chunks of it plain. It is okay cooked up. It isn’t bad in a slaw. But I prefer to simply cut off a slice a little bigger than my fist and eat it, layer by layer. What is your favorite spring snack? Ps I started to post this before it had a title. I gave it one, but I think it is boring. Author wevegotpocketsPosted on April 10, 2019 April 10, 2019 Categories FoodTags Cabbage, Life, Snack, SpringLeave a comment on Spring Snack. Back in 2014 Mom made me a skirt. She used upside-down huge blue jean legs for the main part and a pair of darker blue pockets for pockets. To make the skirt longer and prettier she added a pink ruffle to the bottom and matching pink hearts on the pockets. I loved it. I wore it all the time, so naturally the ruffle wore away super quickly. Thankfully the rest of the skirt was still good, so it was a matter of a few minutes to change out the ruffle. This time I cut up a skirt I had made years before in a sewing class. It was a lovely ruffle. Pardon the ugly face. At a family reunion, after falling in a river. This ruffle lasted longer, but the day came that it could no longer serve. Unfortunately I have no pictures of what happened next to this skirt. I was wearing it one day when someone mentioned I had a whole in my skirt. I was expecting it (I had been wearing the skirt year round for four years), so sad as I was I retired the body of my skirt. The pockets were still good though as was the ruffle so I made a new skirt body and put them onto it. Sadly though now one of my pockets has a hole in the bottom, so when this wears out I will only have pictures and scraps. I love this skirt and I’m glad that I put reminders of it on my blog. It’s been a staple for a long time. This was a very interesting book, in my opinion. Usually when I read about cultures I know little about they are tales of Christians surviving persecution, missionaries coming in, the first real contact with Western Civilization, or all of the above. I frequently read about learning the new language, figuring out how to write it down for the first time. Adapting to a new culture. That sort of thing. 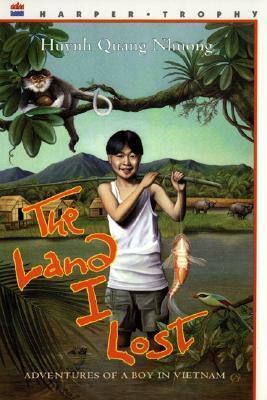 It was so different and interesting to read about a character that came from the culture. It was so strange to read about a culture that has had for a very long time it’s own writing system and school system, even though to me it seemed as strange as cultures with only recent contact. Was the story a little gruesome at times? Yes. Did it have horrifying tales of Monkey See Monkey Do? Yes. Do I recommend it to any one over the age of ten? Yes. Also feel free to check out my Instagram to see my actual copy of the book. We've Got Pockets Blog at WordPress.com.